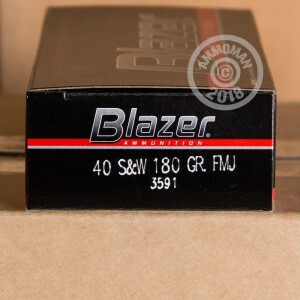 CCI Blazer ammo is an excellent deal for anyone who just wants to put some lead downrange. 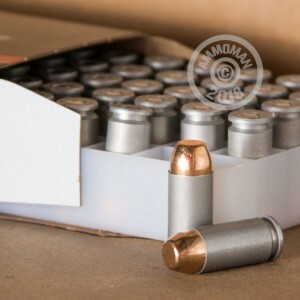 Manufactured in Lewiston, Idaho using economical, non-reloadable aluminum casings and copper-plated bullets, these .40 S&W cartridges come in a 1,000 round case that will keep your gun busy and your per-round cost to a minimum. This ammunition comes packed in 50-round boxes (20 boxes to a case) and fires a 180 grain bullet at a muzzle velocity of about 1,000 feet per second, producing typical .40 Smith & Wesson ballistics. 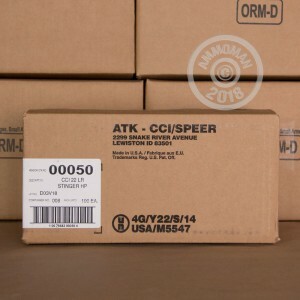 CCI is well known for the reliability of its non-corrosive Boxer primers, which it uses in all of its loaded ammo. AmmoMan.com makes a good price even better with free shipping for all orders over $99 including 1,000 round cases like this one!